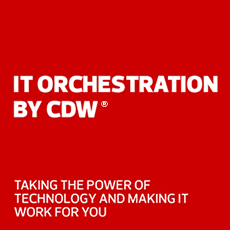 Keep your network secure with federal solutions by CDW•G. Aruba, a Hewlett Packard Enterprise company, provides next-generation, secure networking solutions for the federal government. Its strategic IT solutions empower the DoD, DHS, IC and civilian agencies to serve mobile-savvy users who rely on wide deployments for unclassified and classified environments. Aruba is redefining, improving and optimizing network management for the federal government. Aruba Asset Tracking provides location accuracy to approximately ten feet and pinpoints the items being tracked within a defined area. Whether a rogue partner or IoT botnets, Aruba ClearPass and IntroSpect deliver a potent antidote to attacks on the inside. Aruba unifies and automate security, authentication and device management for a mobile network infrastructure. Aruba 802.11ac wireless access points deliver superb Wi-Fi and can be deployed as controller-managed or controllerless Aruba Instant APs, tailored to your wireless network. Learn about the strong Wi-Fi performance of the Aruba 802.11ac Wave 2. Get a complete overview of the 802.11ac series, including data transmission capabilities, backwards compatibility and enhanced Wi-Fi. Bring performance and reliability to mobile-first offices. These switches are scalable, secure and feature HPE Smart Rate multi-gigabit ports for high-speed connectivity. Aruba’s portfolio spans the access layer to the core to create a digital workplace. The 2930M Switch Series creates digital workplaces optimized for mobile users. Discover how HPE Smart Rate multi-gigabit Ethernet empowers mobile-friendly offices. Mobility controllers offer centralized network engineering, security and policy controls and app-aware platforms. Deploy them as branch gateways, stateful network firewalls and more. Aruba Central is a simple, secure and cost-effective way to manage and monitor Aruba Instant APs, switches and branch gateways. Through a centralized and intuitive user interface, AirWave provides fast, real-time monitoring and troubleshooting, proactive alerts and historical reporting. See how Aruba solutions combined with an open office setup created a modern workplace.